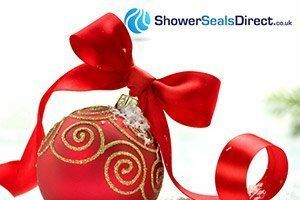 The terms & Conditions will apply to all uses you make of our websites https://www.showersealsdirect.co.uk/ & www.showersealsdirect.com and to every order you place with us and which is accepted by us. Please see our Delivery Terms for more information regarding our service level agreement. On receipt of payment from your credit/debit card we process your order. Orders are deemed as binding to us when we send you an invoice after Order Confirmation and when we collect the purchase price and all related charges from your credit card or account. Shower Seals Direct reserves the right to refuse any order or any part thereof, prior to acceptance, and Shower Seals Direct may require further information to enable it to evaluate the validity of any order. Shower Seals Direct shall not accept any liability in the event of our third party partners (DPD/An Post) cost due to deliveries arriving late for any reason as delivery dates can only be estimated to the guidelines as specified by such named partners. If an order is expected to exceed 7 days from the date of order you can revise or cancel your order. Shower Seals Direct accepts no liability for any failure to ship products where this results from factors outside of it's control, or on reasonable grounds of suspicion such as credit card fraud or any similar reason. We will notify you within ten (10) days of order placement that products will not be shipped as ordered. Shower Seals Direct will immediately refund any payment made and will not process any payment. It is the buyers responsibility to make sure that you order from showersealsdirect.co.uk ( & showersealsdirect.com) with adequate lead time to prevent any loss or disappointment resulting from such non-shipment. We reserve the right not to process orders that have been placed where system bugs and/or hacks have facilitated an unjust and unfair purchase against Shower Seals Direct, in such cases all payments will be refunded. DPD TWO DAY - we will use this courier delivery service for selected Aquastrap /Sealux /Cladseal / Trimlux deliveries. Your product will be delivered to you within 48 hours (2 working days) of dispatch, before close of business that day. Please note that the dispatch time is a number of hours after purchase time, hence items purchased late in the day will not be dispatched until the following day. We do our best to dispatch the same day as your order, but in some circumstances this is not always possible. 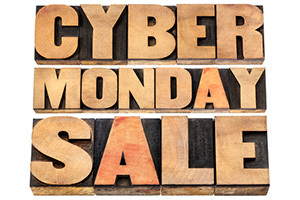 Items ordered before noon will have same day dispatch. NOTE: If your order has the status "Picked" or "Picking in Progress"" you will not be able to cancel this order. If you cancel your order that is not ”picked” or “picking in progress” there is no further charge. If you cancel an order you have paid for by credit card, then Shower Seals Direct reserves the right to charge you the customer any costs incurred on all orders that have been dispatched, including return carrier charges and a 20% restocking charge on orders over seven days old. Items that have been taken out of their original packaging will not be collected. All products sold on www.showersealsdirect.co.uk & www.showersealsdirect.com have a manufacturers guarantee. Guarantees and their duration are at behest of the manufacturer. Shower Seals Direct does not endorse or support any of the offered manufacturer’s guarantees. Goods that have incurred a fault are due to manufacturing defects, or incorrect item(s) shipped. 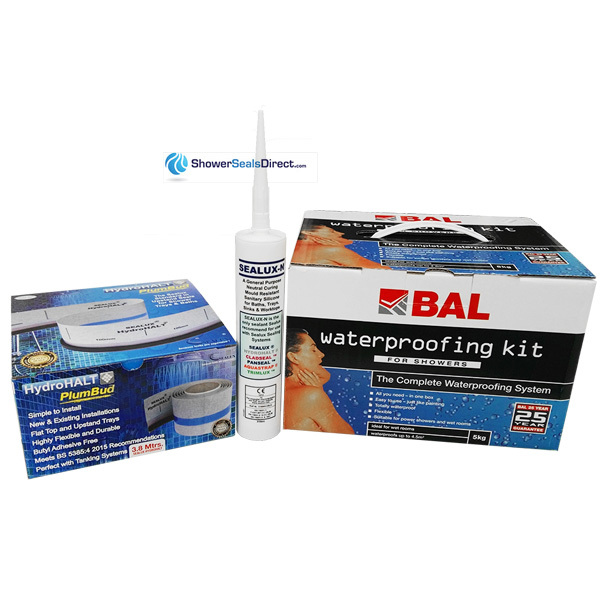 In the unlikely even that you have received such an item you must contact us at support@showersealsdirect.co.uk within 14 days of the order shipment date. We will initialise our refund / replacement procedure once we have received and inspected the goods. A refund for the postage paid to send the item(s) to Shower Seals Direct will be paid once we have established that the item is faulty or was an incorrect order. The parcel that you the buyer ships to Shower Seals Direct will remain your responsibility until it is received by Shower Seals Direct. Goods that show damaged packaging. If the product itself is damaged you should not sign for it. You must email us at support@showersealsdirect.co.uk within 7 days that the delivery was damaged from due to shipping. In most cases the manufacturer provides after sales assistance with their products. In the event of a problem after installation please contact us at support@ShowerSealsDirect.co.uk, detailing the problem and clearly stating your order number and contact details. The Consumer Protection (Distance Selling) Regulations 2000 / Returns Since 31 October 2000 UK consumers now have the right to cancel their order within a "cooling off period" which lasts 14 days from the day after taking delivery. You the buyer has the right to cancel the contract at any time up to the end of 14 working days after you have received the goods. To exercise your right of cancellation, you must give written notice to the Supplier by letter or via the Returns Form on our website, giving details of the goods ordered and their delivery. Notification by phone or voice mail is not sufficient. If you exercise your right of cancellation after the goods have been delivered to you, you will be responsible for returning the goods to ShowerSealsDirect at your own cost. The goods must be returned to the address shown on the Return Form You must take reasonable care to ensure the goods are not damaged whilst in your in presence or in transit. Once you have notified the ShowerSealsDirect that you are cancelling the contract, the Supplier will refund or re-credit you within 30 days for any sum that has been paid by you or debited from your credit card for the goods. As our Items ship from Dublin they must be returned to either our Norther Ireland (UK) or our Dublin address. If you do not return the goods as required, the ShowerSealsDirect may charge you a sum not exceeding the direct costs of recovering the goods. To return the goods to us you will need to fill in the online Request Returns Form (RRF) that you can access here Cancellation can be in the form of email or letter and sent to our Dublin address as listed on the contact page of this site. If you cancel your order under these provisions then you will be responsible for returning the goods to us in good condition or alternatively you will be responsible for our costs in recovering the goods. In mid September 2014 we have been forced to introduce a restocking fee on the purchase of our goods. This means if you buy any of our kits that include a Sealux, Trimlux, Cladseal or Panseal PVC trim you will incurr a cost if you decide to return it to us. We charge these fees as the kits need to be repackaged for the next customer. This process has a material cost and a time cost. If you choose to link to our website in breach of the above listed points you shall fully indemnify us for any loss or damage suffered as a result of your actions. No party hereto shall be liable for any delays in the performance of their obligation hereunder (excluding financial obligations) if any such delay or failure is due to acts of God, war, riot, sabotage, strikes, lockouts, or differences with workers, accidents, lack of water, power, gas, materials, any and all government laws or regulations, or any disabling cause beyond the reasonable control, and without the negligence of, the party invoking this clause. Notice to the other party of any event of force majeure stating the date of the commencement thereof shall be promptly given and shall immediately be followed by a notice setting for the particulars of the event of force majeure and the expected delay. The party so affected shall take all reasonable steps to remove the force majeure conditions and to resume, with the least possible delay, compliance with its obligations under this agreement, and shall promptly advise the other party of the date when the force majeure is ended. We do not limit or exclude our liability for death or bodily injury claims arising from our negligence under an Agreement. Agreement and whether arising in contract, tort or statute shall not exceed one hundred (100%) per cent of the amounts paid for the Products the subject of the Agreement, before the application of any taxes. You agree that under no circumstances are we liable for, (i) third-party claims against you, including for losses or damages save those which arise pursuant to clause 15.1 above; (ii) loss of, or damage to your records, or data or software; (iii) loss of profits, revenue, goodwill or anticipated savings, or for any punitive, indirect, consequential or special loss or damage even if we are informed of the possibility of such loss or damage occurring. Any condition, warranty or other term which might but for this clause have effect between us and you or which would otherwise be implied into or incorporated into this Agreement or any order (including without limitation, any implied terms of merchantable quality, conformance, or fitness for purpose), whether by statute, common law or otherwise are hereby excluded and to the extent required by law are hereby waived. The Products and all related technical information that we may supply to you are subject to Irish, EU export control laws and laws of the country where they are delivered or used. You undertake not to sell, lease or transfer Products purchased from us in breach of any such laws and regulations. Where you are a Consumer, you warrant that you are over 18 years of age. These terms and conditions and any document incorporated by reference in an Accepted Order constitute the entire agreement between us and you and no attempted variation, modification or waiver of any provision of these terms and conditions shall have any force or effect Any expiration or termination of an Agreement (howsoever occasioned) shall not affect any accrued rights or liabilities of either party nor shall it affect the coming into force or the continuance in force of any provision of an Agreement which is expressly or by implication intended to come into force or continue in force on or after that termination or expiration. If any provision of these terms and conditions or a provision of an Agreement are held to be invalid or unenforceable, this shall not invalidate any of the remaining provisions. The headings of these terms and conditions are for convenience of reference and shall affect the interpretation or construction of these terms and conditions or any Agreement. The worldwide IPR in the Site including in any text, compilations, graphics, buttons, icons, images, audio clips, data compilations, or any trade mark on the Site, are owned by us, or our suppliers as the case may be. We grant you a limited right to access and use the Site solely for reviewing and searching for Products and for buying Products. However such license does not authorise you to copy or download or modify any portions of the Site. Neither does this license grant you a right to use any trademarks of us, or our suppliers. You agree not to use metatags or any other hidden text using our name without our written consent. You also undertake not to link or attempt to link the Site with other sites or services or use meta tags or other devices containing any reference to us in order to direct a person to any other site of service. You also agree not to use the Site in any way that causes, or is likely to cause, the Site or access to it to be interrupted, damaged or impaired in any way and in any event only use it for lawful purposes. This Site may provide links or references to other websites and resources. We make no representations, warranties, or other commitments whatsoever about any non-Shower Seals Direct Web sites or third-party resources that may be referenced, accessible from, or linked to any Shower Seals Direct site. A link to a non- Shower Seals Direct Web site does not mean that Shower Seals Direct endorses the content or use of such Web site or its owner. In addition, Shower Seals Direct is not a party to or responsible for any transactions you may enter into with third parties, even if you learn of such parties (or use a link to such parties) from a Shower Seals Direct site. Accordingly, you acknowledge and agree that Shower Seals Direct is not responsible for the availability of such external sites or resources, and is not responsible or liable for any content, services, products, or other materials on or available from those sites or resources. When you access our Site or send emails to us, you are communicating with us electronically. You agree that for all purposes of each Agreement formed pursuant to these terms and conditions that we can communicate with you electronically by email or by posting notices on the Site. You also agree to our communicating and or serving notices on you to the most recent address you provided to us. You agree that all Agreements, notices, disclosures and other communications that we provide to you electronically satisfy any legal requirement that such communications be in writing. This provision does not affect your statutory rights where you are a Consumer. Our business’s name is: Shower Seals Direct t/a Rich Media Engineering. Our business address is: 6 Charlemont Tce. Crofton Rd, Dun Laoghaire, Co. Dublin, Ireland. Our contact details are: as above.